With so many accommodation options out there, finding a suitable place to stay for your trip can be a headache. Matching up all your requirements with what’s on offer at each different place is time-consuming. Ideally, you want a place that you know will tick all the boxes without too much research. Here we look at the benefits of staying in serviced apartments. Serviced apartments offer great privacy and much more space than you’ll find with a hotel room. For those who value their own space, serviced apartments often come with several bedrooms, so you won’t need to share a room if you’re travelling in a group. You are free to come and go whenever you choose, without worrying about disturbing other guests. You can also entertain family and friends, stay in and cook a meal – whatever you feel like and nobody will encroach on your space. Most serviced accommodation offers a lot more space than alternative options. They come with equipped kitchens, living space, separate bathrooms and bedrooms. For extended stays, living out of a suitcase in a cramped hotel room can get you down but an apartment means living space like you have at home. They offer the comfort you need to fully relax and recharge after a busy day at work or out sight-seeing. Long-term stays in particular work out far more economical than hotel accommodation. The longer you book, the more you’ll find nights are offered at a discounted rate. With kitchen facilities, you can prepare your own meals when you feel like it without the need to spend extra at the hotel restaurant every evening. With serviced apartments you can enjoy a broader range of facilities. You’ll get housekeeping as standard and with most you’ll also get added extras like welcome packs, swimming pool facilities, a gym or even an on-site restaurant. Some apartments offer all the benefits of staying in a hotel, such as free breakfast, an on-site bar and concierge service but with all the freedom and space of a home-from-home environment. It’s easier to immerse yourself in the local community and live like a local when you stay in a serviced apartment. You are free to come and go as you please, live flexibly and go grocery shopping for your meals just as you would at home. 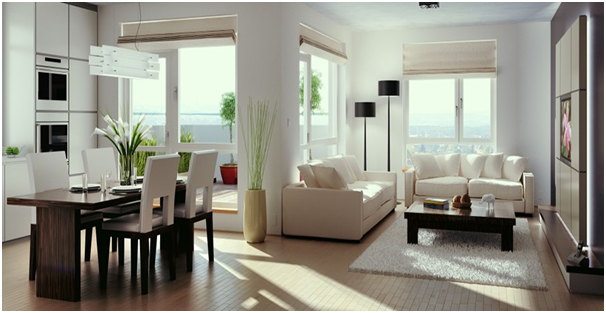 The locations of serviced apartments are also incredibly convenient. Most are based right at the heart of the town or city you are visiting, with most amenities likely to be within walking distance or a short bus journey away. For those who feel like a break from driving, this is ideal.